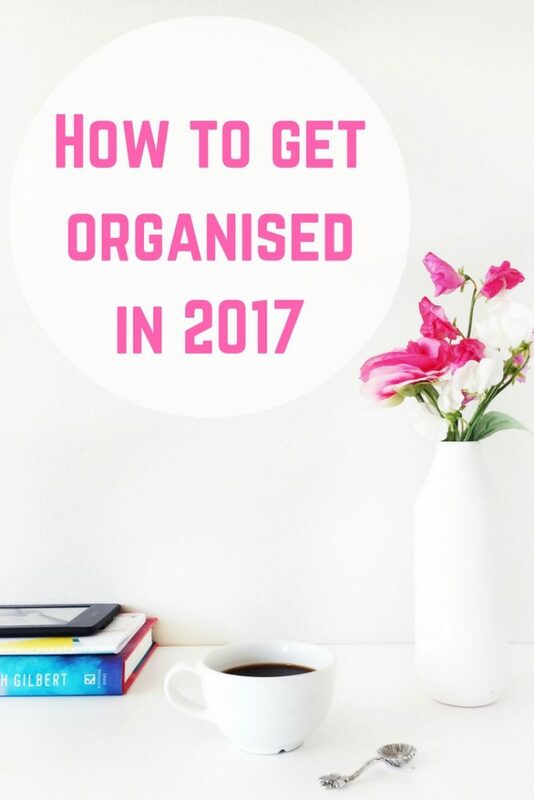 I am often asked about how I manage to organise my time when I work from home, as well as how I organise my business and my home. This is something that I struggle with each and every day, and I sometimes wish that there was a magic wand to make it all a little bit easier. We all have our own reasons for wanting to bring more organisation into our lives – whether it is to spend more time with the family or to run a successful business. Knowing where to start, including which systems to implement can be really tough. Maybe, like me, you have tried to get more organised in the past, but failed to create any long-term success with it. I know exactly how this feels – from being unorganised within my work life to not being able to find my favourite jumper or a pair of shoes easily. 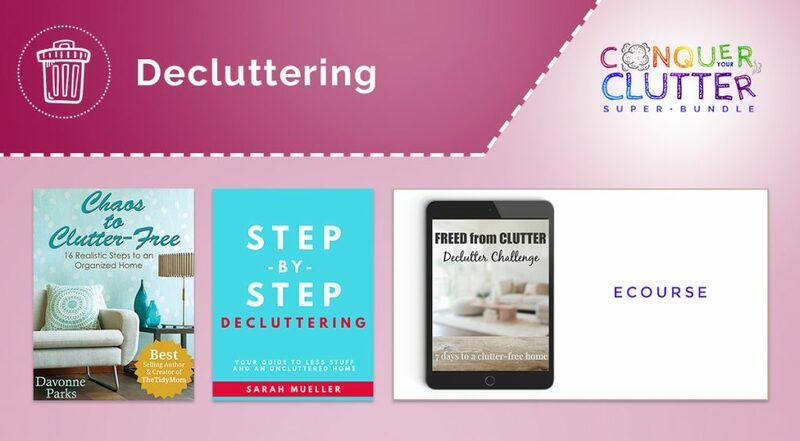 That’s why Stephanie and her team at Ultimate Bundle have put together the Conquer Your Clutter Super Bundle for the very first time. 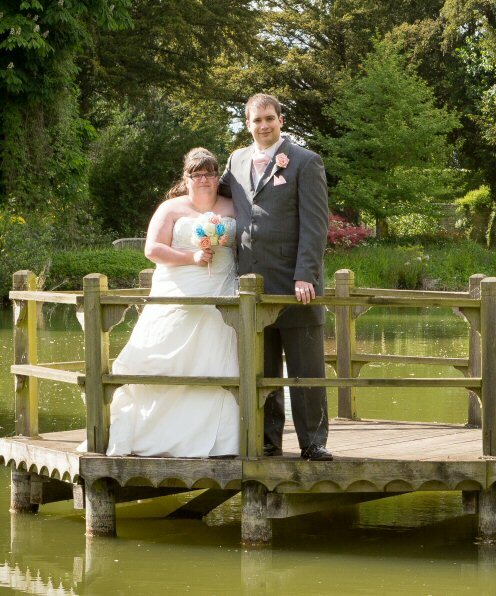 Their customers have been begging for help with streamlining their lives. The answer was this super-short opportunity to get a complete collection of organisational resources for a crazy low price. 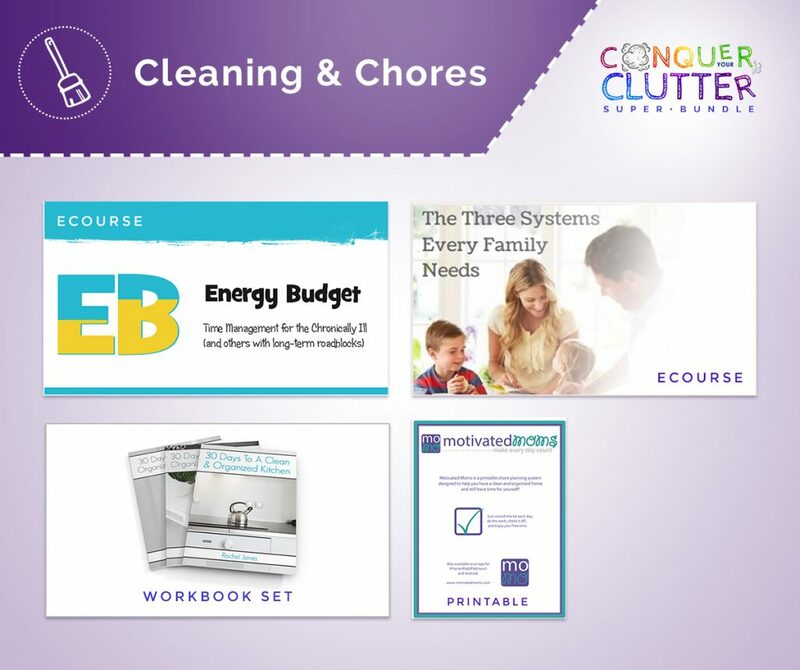 The Conquer Your Clutter Super Bundle offers phenomenal value – the products included are worth over £525, but you can get your bundle for around £25 for a limited time (priced under $30 US, which is around £25). 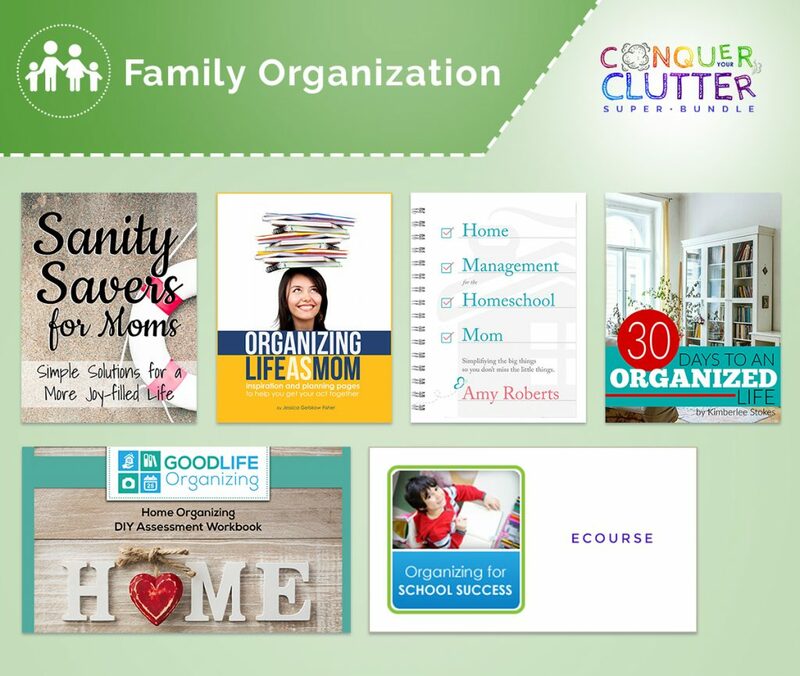 You sort of need to see it to believe it, but the package includes 38 digital products on topics like how to organize your photos, decluttering, family systems, meal planning, time management and so much more. All together, it’s worth over £525! 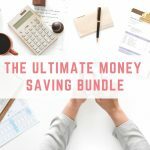 I have been delving into some of the products within this bundle and I'm blown away! Already I am starting to develop systems to help me become more organised in all areas of my life, which means I am less anxious and I have more time to spend on fun things. 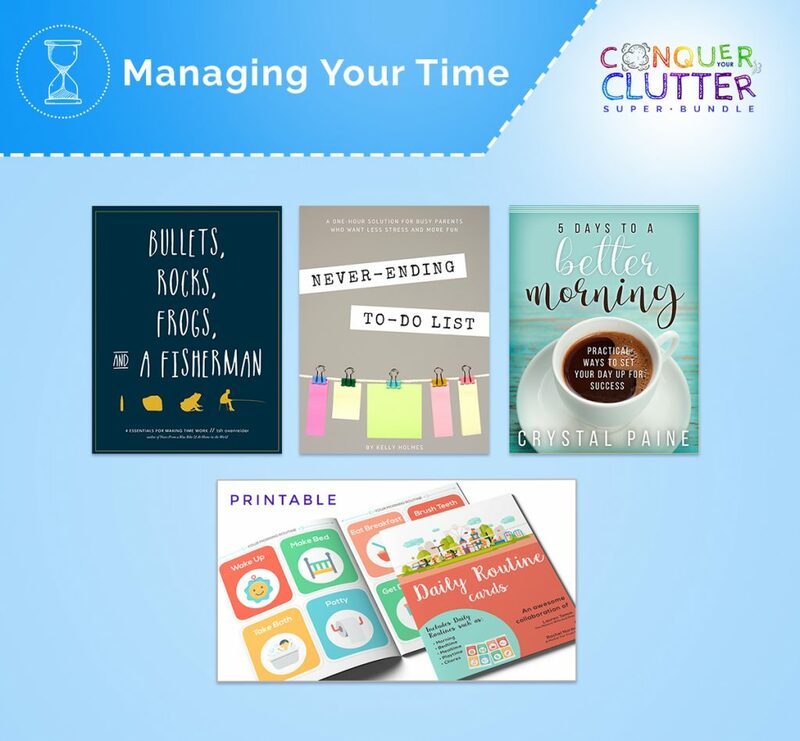 Whether you want to become a pro at decluttering, manage your time more effectively or meal plan like a pro, there's something for everyone in this bundle. Managing my time is the biggest challenge I face – every single day! I feel as though I am constantly chasing my tail and constantly playing catch up. Inside this bundle you'll find some great tools to help you become a time management pro. 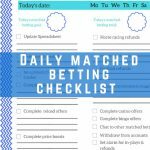 5 Ways to a Better Morning is helping me to put systems in place to make mornings a bit easier, and allow me to start with a fresh slate every single day. 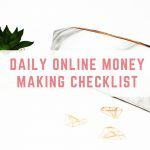 Never-ending To-Do List is my favourite in this bundle – not only is it packed with practical advice, but it also tells you how long it will take to read each segment and then how long it will take to put into practice. This is incredibly useful and helps me to manage my time more efficiently. 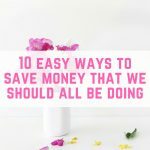 We love meal planning in the Drew household – it helps us to save so much money on our food budget. In January we are trying to stick to a £100 budget for all household spending, which includes food, toiletries, cleaning products, cat food and cat litter. 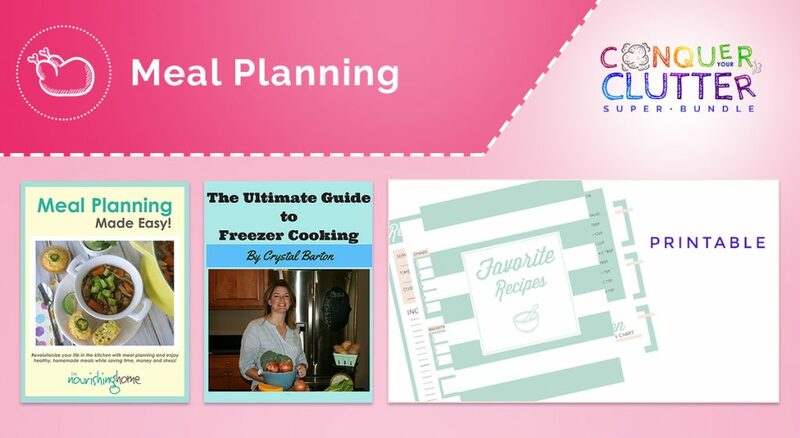 It is hard but these meal planning tools are helping to keep us on track. You might have seen on my YouTube channel that I am working on decluttering 500 items from our home in January. It seems like a crazy number, but it desperately needs doing. These tools are helping me to get into a decluttering mindset, where I am constantly looking at items in and around my home and wondering what value they add. Decluttering can help you to make extra money by selling your unwanted items, and it helps you to keep on top of cleaning your home too. 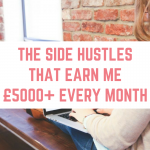 I am sure that we would all like to have systems in place that mean we have an organised home, and this bundle comes with fantastic items that will help you to achieve that. 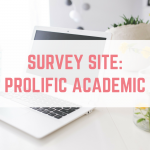 From the organised home worksheets to the brilliant ecourses, you'll be a pro in no time! My favourite item within the family organisation section is 30 Days To An Organised Life. It helps you to develop a decluttering habit, to aim for progress and not just perfection, offering practical advice on tackling your laundry pile and even helps you with paying your bills! This doesn't just cover having an organised home, but actually taking control of all aspects of your life. Hands up who has paperwork…everywhere. 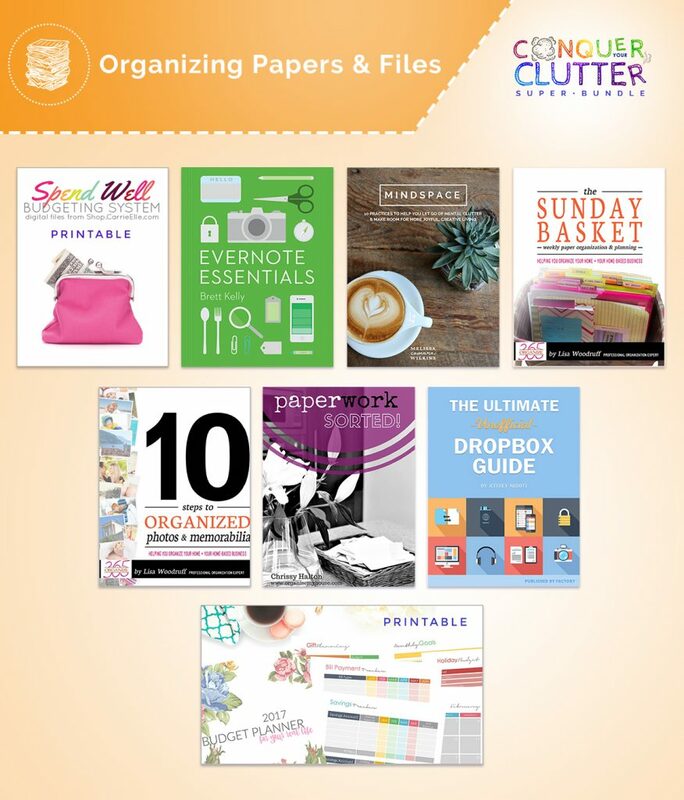 This section of the bundle helps you to organise your paper clutter and get into a rountine with paperwork. It also includes a fantastic budgeting system. 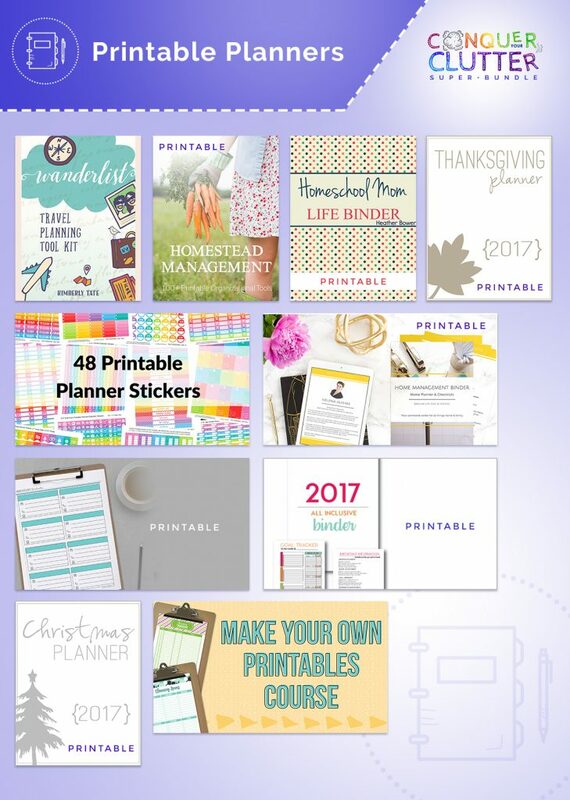 The final section comes with printables and planners to help you become more organised in 2017. Besides being so incredibly helpful and inspiring, one of the things I like best about the bundle is the price. By offering the bundle for a short time only, they’re able to give you access to over £525 worth of amazing products for a whopping 95% off! Visit their website to take a look at all the goodies that come in this Super Bundle and decide if it is for you. To go ahead, click “Get my copy now!” to go through their simple 3-step checkout process. The most important detail, though, is that this bundle is available for just 6 days! After Monday night, January 30th, the sale ends and you’d have to buy all of these products individually at a much higher price. 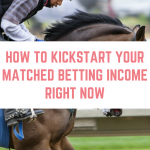 I’d hate for you to miss out, so click here to learn more or buy the bundle. 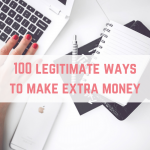 It’s even backed by a full money-back happiness guarantee, so you can know for sure that it’s right for you. No one should have to feel overwhelmed one more minute because it costs too much or they can’t get the help they need. By finding systems and strategies that really work for me, our home and daily life is much calmer than it used to be. It’s made all the difference in the world and I want the same for you and your family.